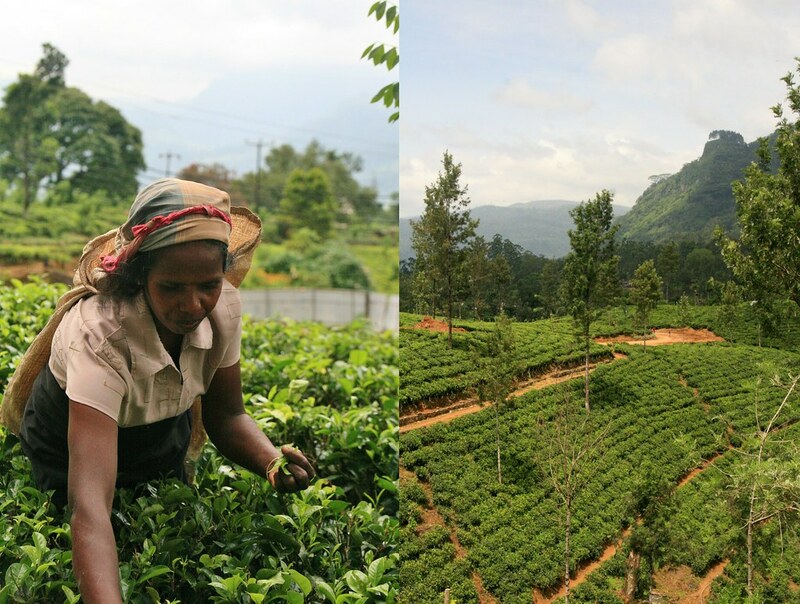 The day had finally arrived: the mother ship was called me and it was time to head off to the more mountainous region of Sri Lanka: the tea plantations. The journey was a slow and winding one, up and down switchbacks with steep slopes and hairpin corners. 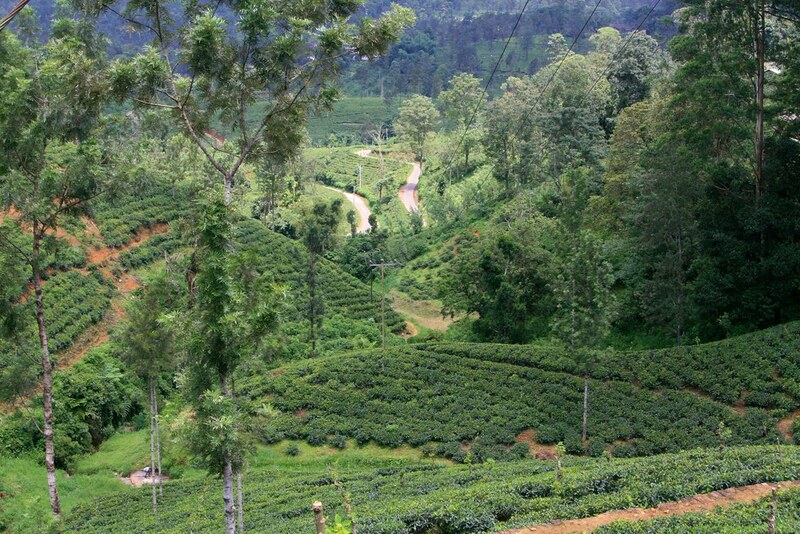 But the vistas were magnificent with rows of tea trees interspersed with cascading waterfalls. Most left natural, one admittedly used as a car wash. Young boys dashed directly up the hill between bends trying to sell flowers to the the passing vehicles, and they careered breathlessly up the mountain to meet us again on each new turn and try their hand. 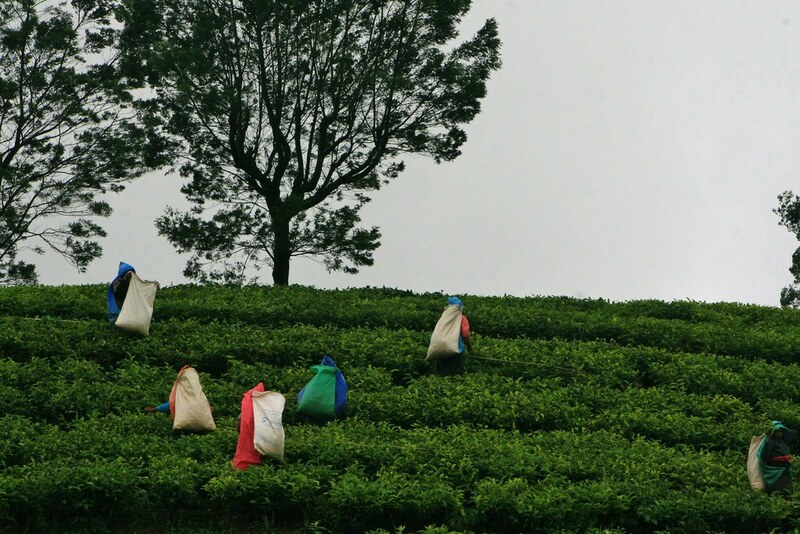 Our destination was Glenloch tea plantation, and we started our visit with a cuppa (and a bonus wedge of chocolate cake) before embarking on a tour of the factory with our Guide. 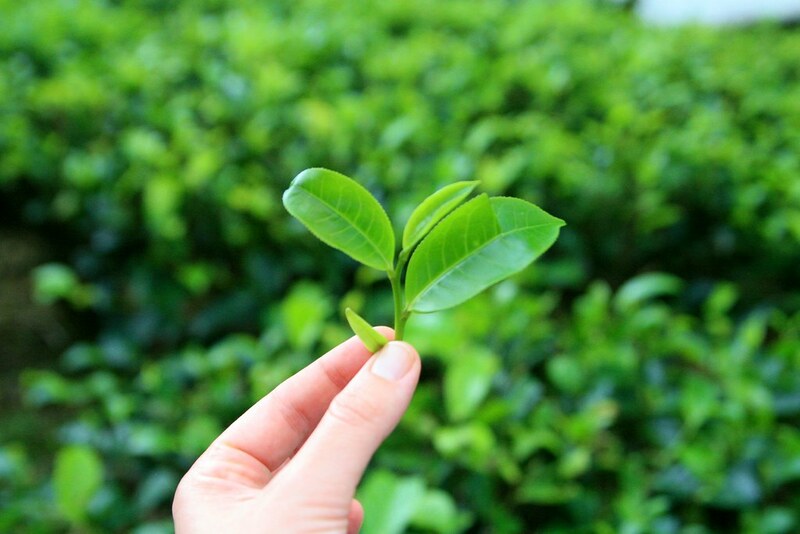 She first took us among the waist-high tea trees to show us which bits of the bush can become which black tea, green tea or even the exclusive white tea, and I was able to have a go balancing one of the traditional baskets over my head and slinging leaves back into it. I missed. Nowadays, sacks are used as they’re easier to carry but the women who pick are expected to gather 20kg of leaves each day. We entered the factory to see where the leaves are laid out and dried, then crushed and sorted, before being fermented and the stalks winnowed from the leaves. 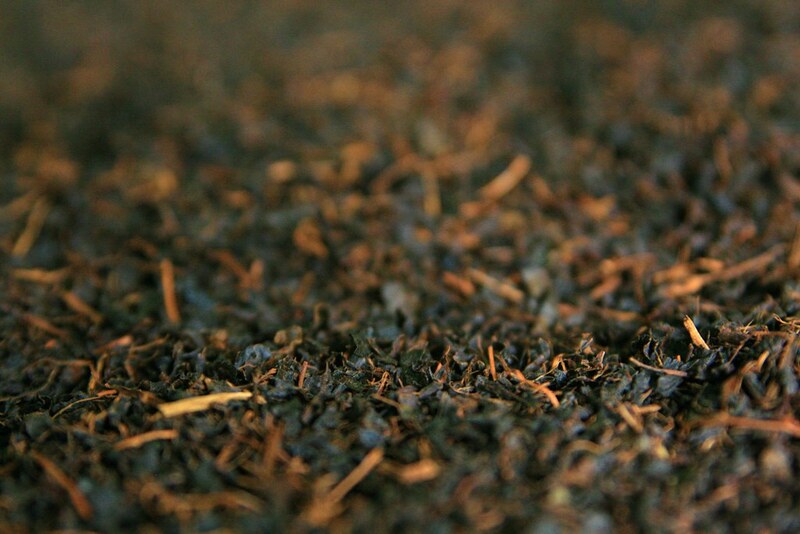 This is the process for black tea and we saw huge crates and bags lined up and ready to be shipped out. 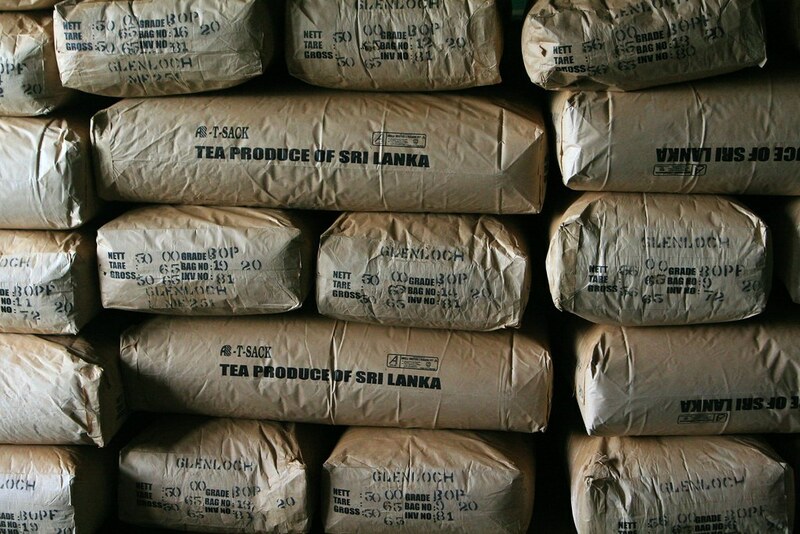 Only tea that is 100% produced and made in Sri Lanka can be stamped with the Ceylon trademark and the plantations seem proud of the tea they produce. We then got to try the tea: first the golden flush, a broken orange pekoe, unblended and delicious. 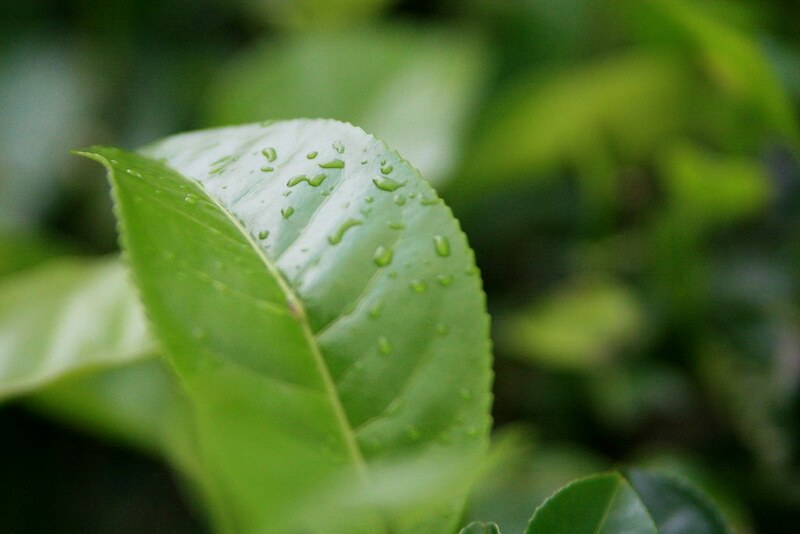 Then a green tea and finally the expensive white tea, which was selling at 2000 rupees for 10g. Which means it’s a tenner for enough tea to make 2 cups. Yikes! 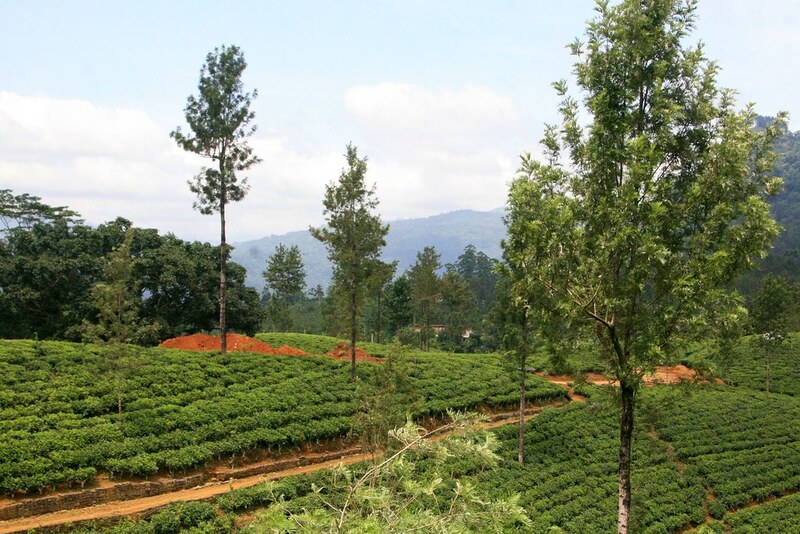 Leaving the plantation, we continued on our way to Nuwara Eliya, affectionately known as little England. High in the mountains at almost 2000m above sea level, the climate was so different: fresh and rainy, jumper weather for us, freezing cold woolly-hats-and-coats weather for Sri Lankans. We made a quick stop on the way to grab some Street food snacks and I love how delicious these things can be. I opted for some strange-looking doughnuts, deep fried in a wok and hooked fresh onto my plate with a dipping sauce. They were amazing, savoury with lentils and spices, but somehow soft and smooth with a crispy shell. Alongside a roti with chilli, it was a fantastic snack. There’s a very clear colonial influence in the town of Nuwara Eliya and we fetched up at our hotel for a quick change before heading out for high tea at the Grand Hotel. Because when in Rome. It was lovely, sitting on an open verandah, looking down over very English, carefully cultivated gardens as it poured with rain. There's no place like home. We had an array of little savouries from the traditional smoked salmon sandwich to tiny burgers, croquettes and fried prawns. We finished with a selection of tasty sweets and washed it down with a couple of pots of tea. And Lorna and I split a fries as we saw someone else have them and we are now fully bonded as roommates. And desperate for chips. We took a rainy afternoon stroll through the town, wielding umbrellas and visiting the gardens of the exclusive members club, walking past the golf course and polo field. Oh I do like to be beside the former colonies. Facepalm. Eventually, the rain got the better of us, and we headed back to our hotel for an evening in, making instant noodles in the kettle, enjoying a nice hot shower after the damp weather and curling up under a duvet that was actually wanted for the first time in the whole trip!